When it comes to cafes, I always opt for independent ones rather than chains when I’m back in the UK. There is certainly no lack of them in Edinburgh where I went to university – some proudly proclaiming “JK Rowling wrote Harry Potter here”, and one equally proudly advertising the fact that “JK Rowling did not write Harry Potter here.” However, when I’m far from home I tend to stick to the big chains, because they’re reliable and consistent, they have an English menu and there is no confusion over how to order, when to pay, and all those other little issues that crop up in the unknown. So it is that I have come to adore the baked goods at Starbucks. 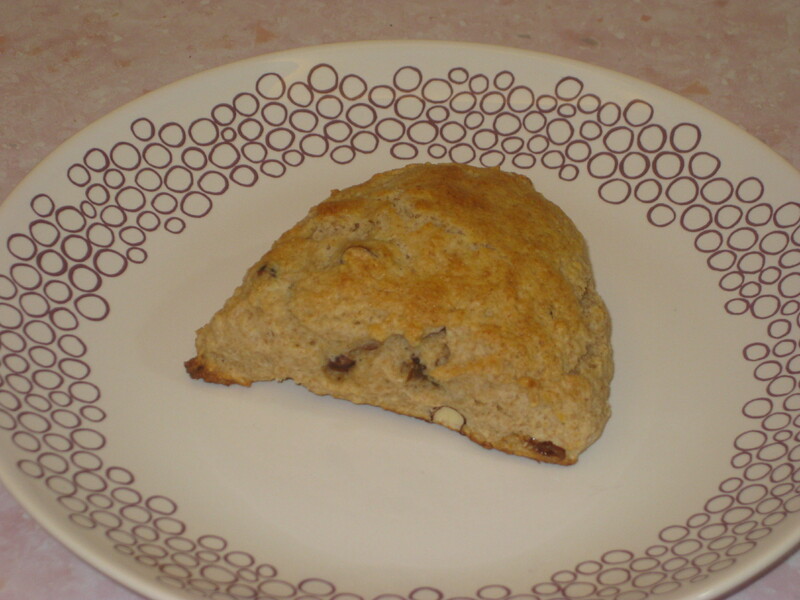 My current favourite is the fig and hazlenut scone. I actually spend some mornings daydreaming about them and calculating if I can add any detours to my day that will conveniently drag me past a Starbucks. 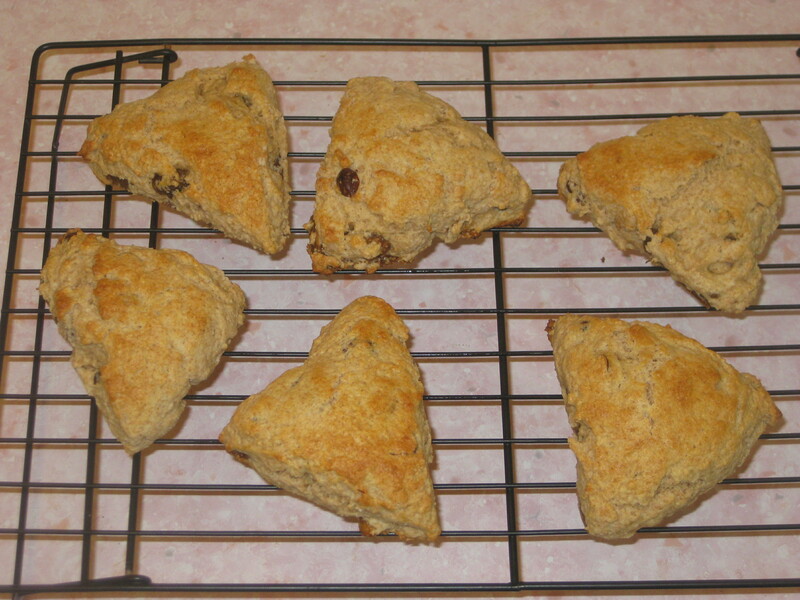 At last, partly due to finances and partly due to fear of the scones being rotated off the menu soon, I have taken matters into my own hands and made my own version. I feel immensely relieved, knowing that I’m no longer reliant on Starbucks for my fix. 1. Preheat the oven to 220C and line a baking tray with greaseproof paper. 2. 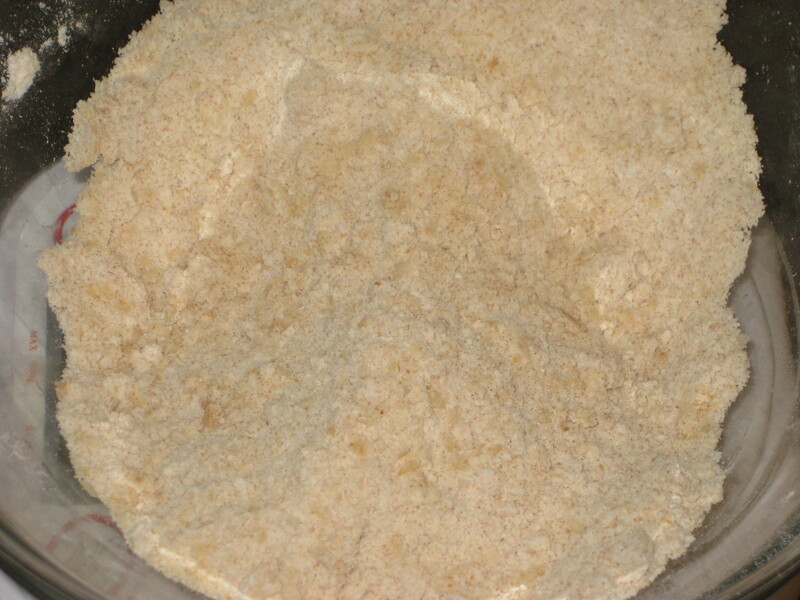 Mix together the flours, baking powder and salt in a large bowl, then rub in the butter with your fingertips. 3. 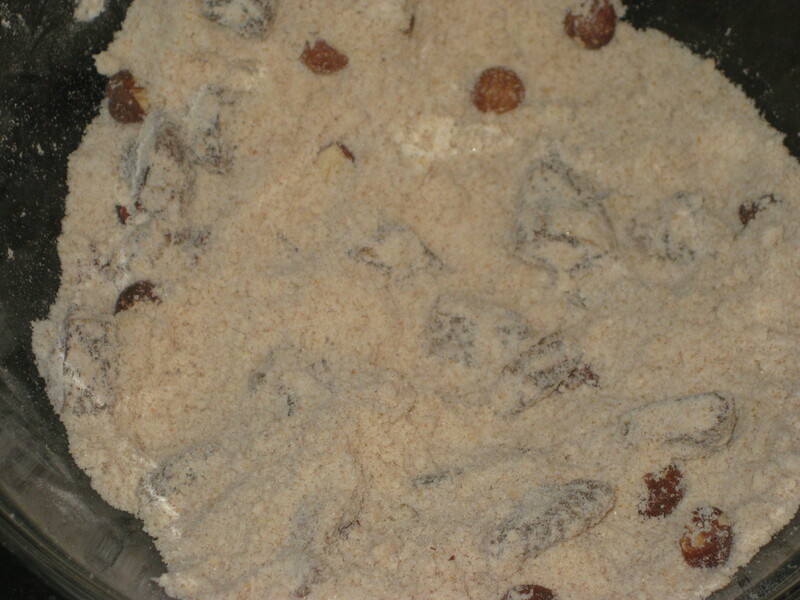 Stir in the sugar, followed by the figs and hazelnuts. 4. 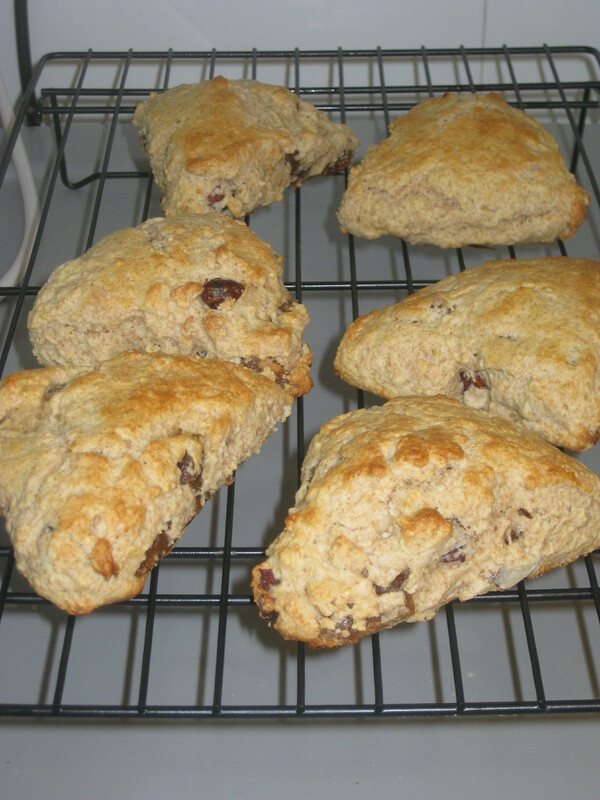 Pour in the egg and milk mixture, reserving a little for brushing the tops. 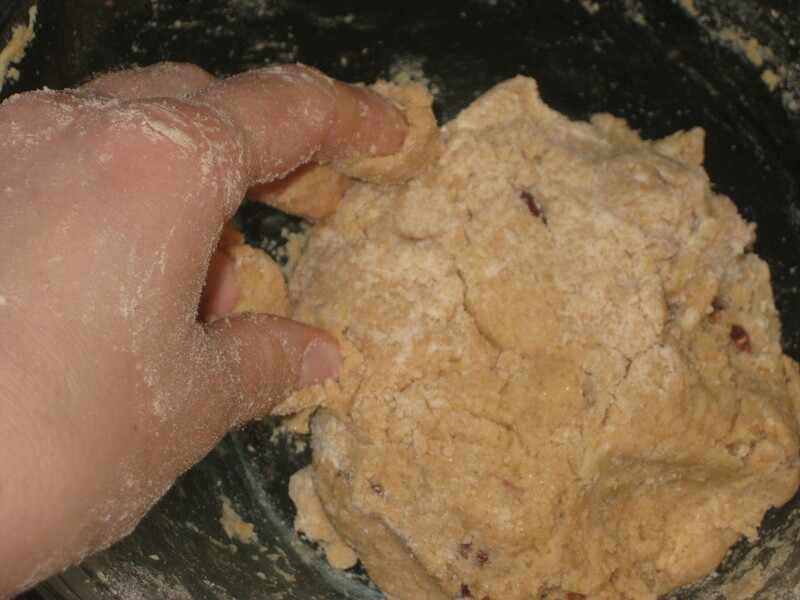 Bring together to form a dough. 5. 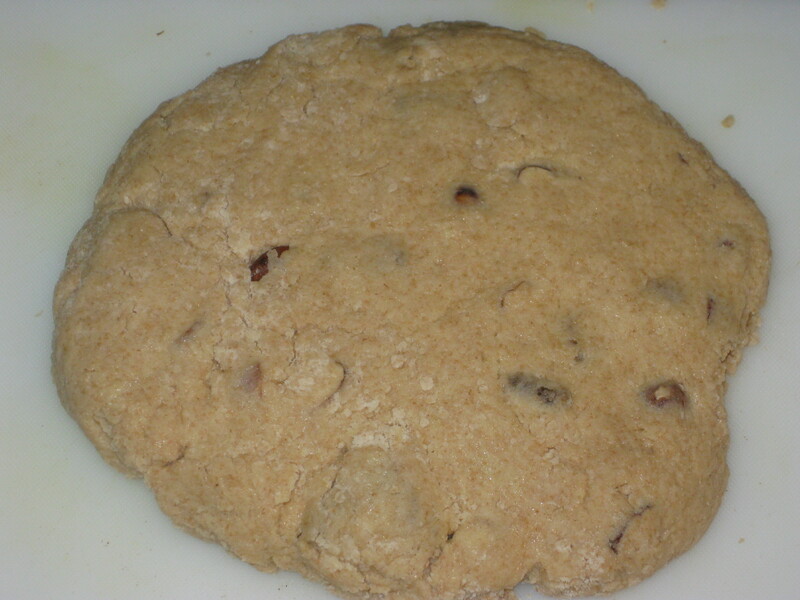 Turn out onto a lightly floured work surface. Roll or pat into a nice round. 6. 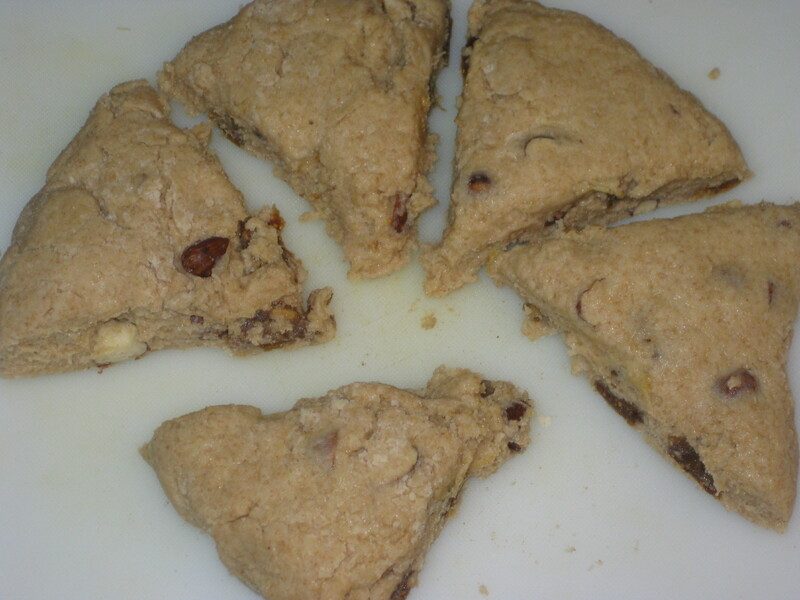 Cut into six slices. 7. 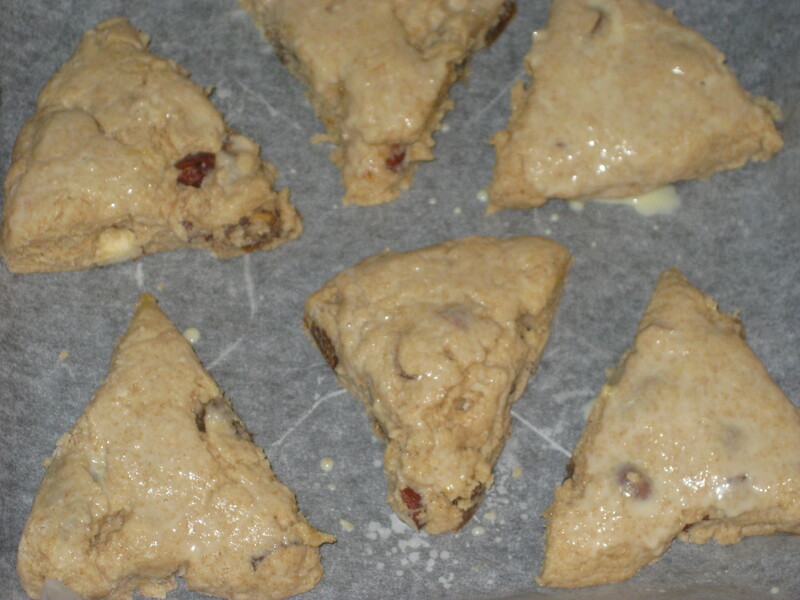 Place the triangles on the prepared baking tray and brush with the leftover egg mixture. 8. Bake for about 10 minutes. 9. Cool on a wire rack. Best served warm! 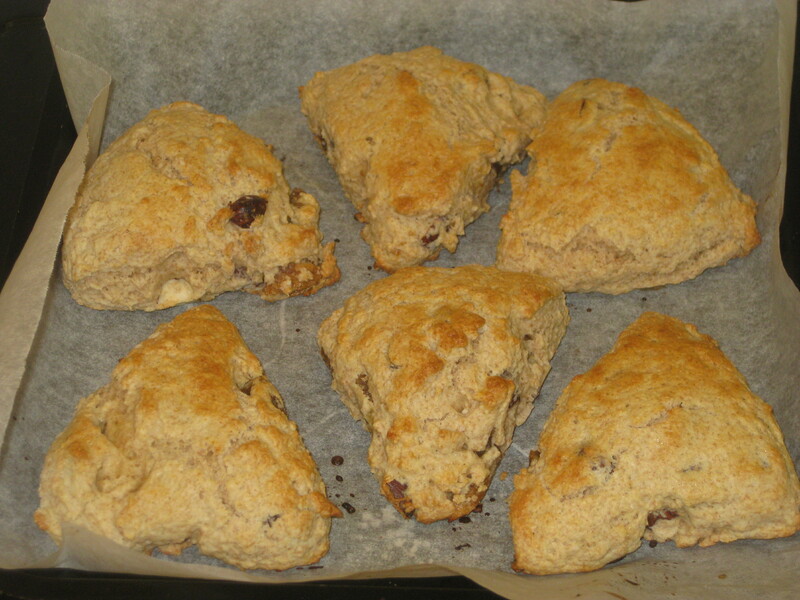 This entry was posted in Vegetarian Recipes and tagged afternoon tea, fig and hazelnut scones, scones, tea time. Bookmark the permalink.